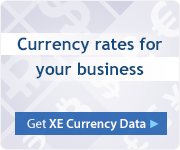 Note: If you need data for commercial purposes, read about our XE Datafeed. Our advanced systems factor in data from a wide variety of sources and automatically correct errors. We generate a highly reliable datafeed that is more timely and accurate than any of our individual feeds. Because we use live, real-time rate feeds from global forex markets, currency rates can be updated even when their country's markets are closed. 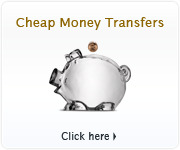 If a currency is not regularly traded, we use the most recent data available. XE is proud to incorporate data from Tenfore Systems as one of our preferred data sources. We support every world currency that we know of. If you know of one we don't, please email us.